Some decades-old KC-135 tanker aircraft are getting to drink from the fountain of youth. Or at least the engines are. The first of 1,440 new upgraded engines for the venerable Stratotanker aircraft was installed at MacDill Air Force Base, Fla. in Jan 2013. Upgrading 1970s engine parts with modern technology, the engines will burn less fuel and run for longer without repairs, officials say. 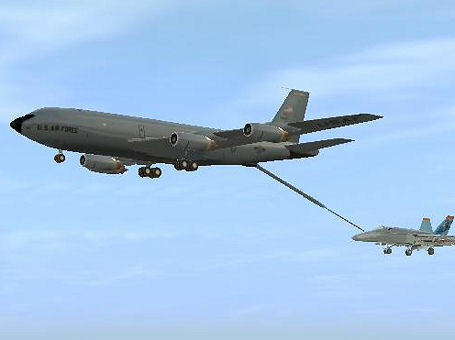 “We expect the engine to stay on wing for 20-plus years and take the KC-135 into retirement,” said Senior Master Sgt. Dong Kim, Air Mobility Command’s propulsion branch chief. The engine upgrade will allow the KC-135 and the Navy’s E-6B aircraft to fly longer and at less cost by improving fuel efficiency and increasing engine time-on-wing. The refurbished engines upgrade the high pressure compressor and turbine sections of the KC-135’s F108 engine, a military variant of the CFM56-2 engine. A reliable producer for many years, more than half of the engines on the KC-135 have not seen depot rework since they were initially installed; some dating back to 1984. The engine depot at Oklahoma City Air Logistics Complex expects to deliver the first organically produced C-PUP engine later this year and is planning to produce 120 annually. Affecting 1,440 Air Force engines, the upgrade effort is projected to take 12 years to complete, according to officials.